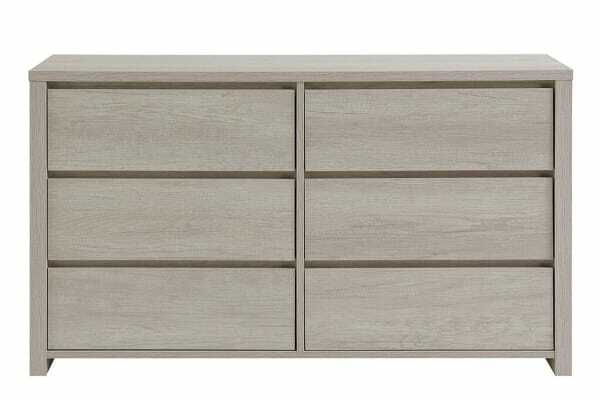 Effortlessly organise your bags, tops, bottoms and accessories with this gorgeous textured-grain timber-look statement piece – the perfect space-saving solution to declutter your bedroom or hallway. 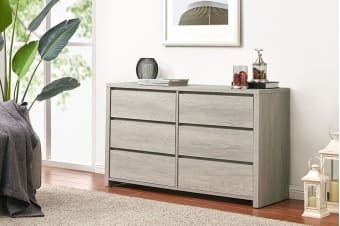 With generous storage space and a sleek timber-look with a textured grain finish, the Shangri-La Chest of 6 Drawers – Alta Collection blends space-saving features with timeless bright decor. Each drawer is built with ball bearing metal sliders featuring a seamless finger pull design, giving you easy access to your clothes, accessories, books and shoes no matter how heavy or full your drawers get!